Businesses that are adept at turning a profit often find innovation that gives them a competitive edge. 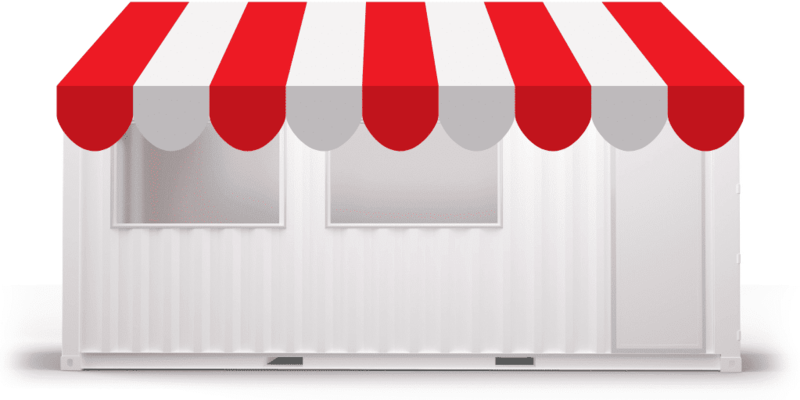 For many industries like food, entertainment, sports and education, the use of shipping containers to create a concession stand, retail kiosk or ticket booth has helped them streamline costs and give them agility with brick and mortar consistency. Those looking to create a concession, merchandising stand, ticket-booth or coffee kiosks are often faced with high rents, excessive overhead and onerous regulations that create insurmountable financial obstacles. And although the idea of converting a storage container seems novel, many traditional diners, take-out businesses, coffee shops, and semi-permanent concessions stands are turning these huge rectangular structures into full-blown kitchens with seating. These are four reasons why repurposed storage containers are trending. The technical term for these metal units is “intermodal container,” and they generally run either 20 or 40 feet long and are typically about 8 feet wide and 9 feet, 6 inches in height. 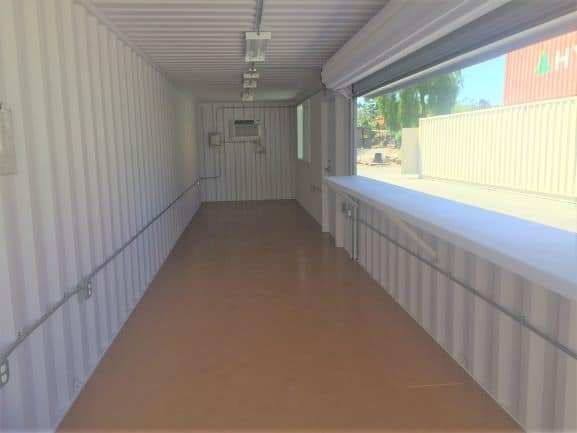 They were initially designed to ship freight and coincidentally enjoy heights that are conducive to people walking in and out, as well as storing equipment. 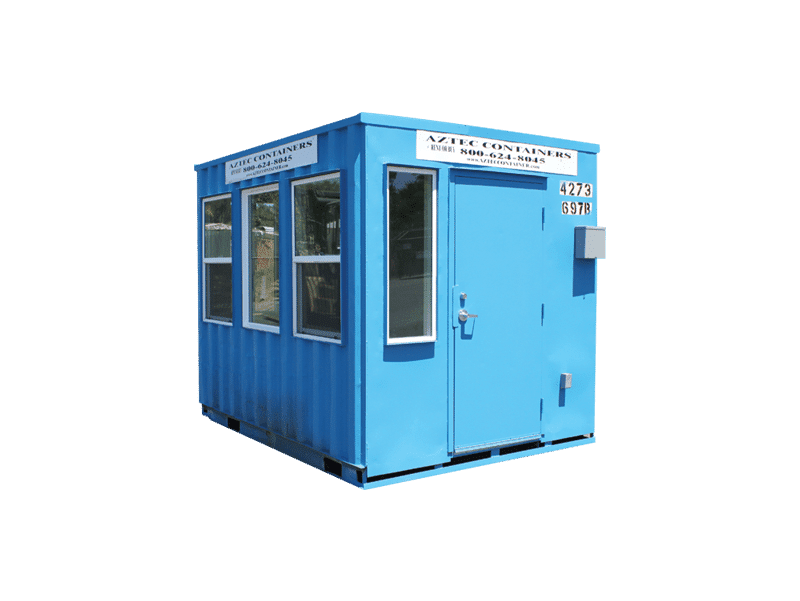 Although not necessarily intended to be converted into a concession stand, snack shack or other business, a storage container just happens to possess ideal dimensions for the use. In many ways, transforming a shipping container into a business creates a unique type of positioning. For instance, food trucks enjoy the greatest mobility and can pull up to business curbs or park at major events. This is the exact opposite of brick and mortar establishments that must entice people to travel for sit-down meals. Shipping containers enjoy the agility to be transported via truck to various locations. 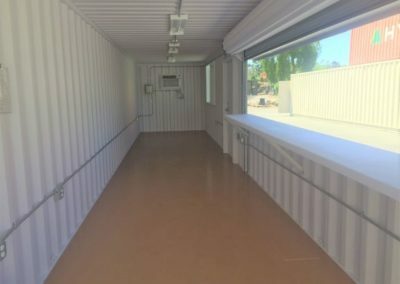 For example, if a storage container concession stand were to strike a deal with a week-long festival such as Coachella or a season with a sports organization, the container could be promptly relocated. A shipping container business enjoys a wealth of space and the ability to house greater inventory on site. It’s the best of both worlds. According to a 2013 Airport Concessions Benchmarking Survey, 94 airports that handled 79 percent of all American passengers and 48 percent of Canada’s concluded that concession-stand revenue in airport terminals exceeded $1.5 billion in 2012 alone. Similarly, revenue generated by concessions at movie theater stands at approximately 40 percent of the industry’s haul. And, everyday people know that stands at sporting events traditionally have long lines. Many fixed businesses are integrating a concession stand to create an additional revenue stream. If you have ever driven by a shipping port or major warehousing facility, you may have noticed one shipping container stacked on top of another. That’s important in terms of flexibility because a single footprint can include multiple levels of shipping containers. It’s not uncommon for entrepreneurs to design their business with one level for cooking and food preparation and another for dining. Shipping containers are already designed to stack safely on top of each other for long sea voyages, as well as rail and truck transportation. Another aspect of flexibility that has these structures trending is that they come with a clean slate. Crafted from robust and weatherproof metal, the interiors are an open book. There are already a variety of outfits offering shipping container eatery designs. On the other hand, business visionaries can build to suit. Customization options routinely include air conditioning, heating systems, insulation, service windows, creative paneling and painting, and full-scale seating that includes tables, chairs and even booths. The 40-foot intermodal containers are quite spacious. Designs run from traditional to ornate. It’s all a matter of need and personal taste. The idea of converting a storage container into a business may seem unusual at first, but the realities of those who are reaping the benefits have them trending high in food service and other circles. 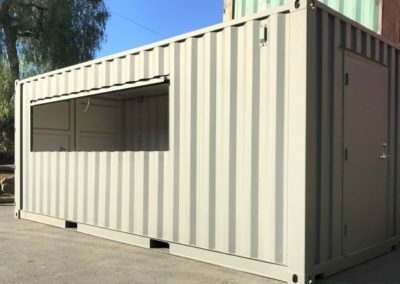 Whether you are a savvy entrepreneur looking to open your unique brand or have a fixed business that could enjoy increased profitability, shipping containers are a trendy way to make money. 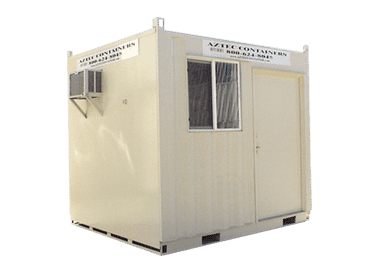 Need more reasons to go with Aztec Container for your project? 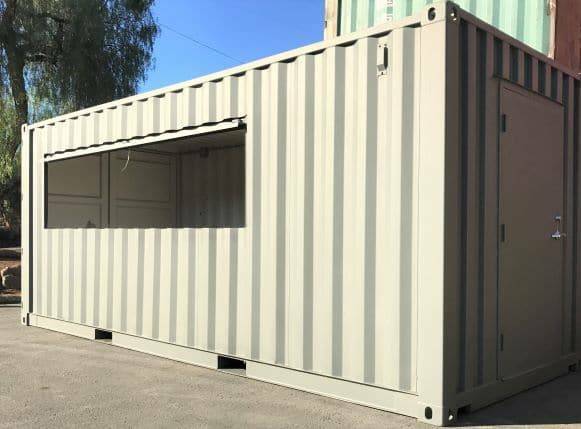 Get a quote from us, and we will work with you to get your exact specifications so that we create the perfect event shipping container for you.